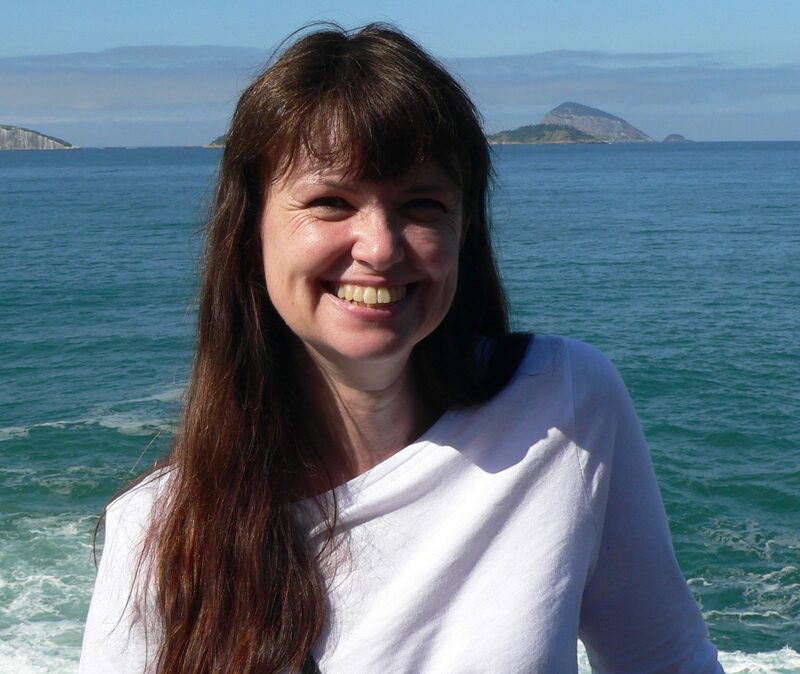 This week, Joanna went to the printer (small fanfare of trumpets please!). This is always very scary. Any typos that have missed will now be in the final book for all to see, for ever more. We did very nearly have a disaster. The cover was finished – brilliant photo from Chloe my photographer, formatted by Geoff my cover guy – but I was unsure about the colour. It was greys and blacks, and I wanted it to be blues and purples. So both people tried various filters, but it wasn’t the colour I had in my mind. Geoff (who understands these things having been a printer in a former life) gave me a brief lesson about colour in light (and therefore on my computer screen) being different when transferred to ink (and therefore on my book cover.) It was possible to pay the printer for a fifth ink, whereby I could be picky on the colour. But it would cost extra. I am hoping to break even with this business, so unlike big publishers, I don’t actually have any ‘extra’. The colour is still not exactly what I had in mind, but I don’t have the funds to be fussy, so it is staying as it is. It is still an amazing cover. You will love it when you see it, the photo is perfect for a book about a psychopath. Very exciting. 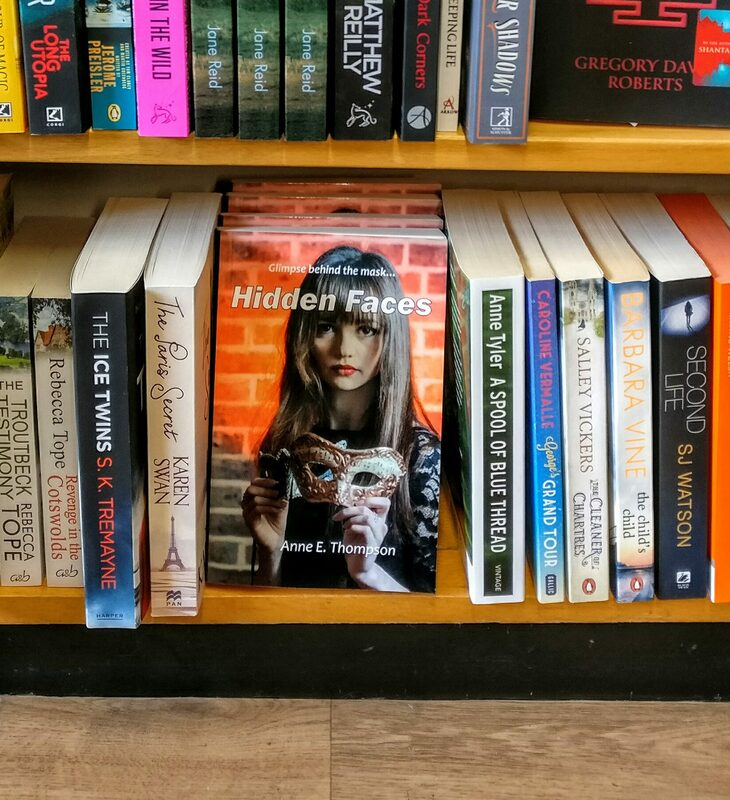 My other bit of news is on the selling front with Hidden Faces. We had contacted Gardners, a wholesaler, and they said that if a retailer wanted to sell the book, they would contact me via the Nielsons website and supply it. I decided to test this before I advertised it, so bought my book from waterstones.com. Waterstones charge £8.95 plus £2.80 postage, so I paid over £11 (for my own book.) I was somewhat perplexed when the following day I was contacted by Bertrams, a completely different wholesaler, and asked to urgently send a copy of my book. Waterstones obviously decided to use them. It then took about 10 days for my book to come back to me, though it was in perfect condition considering it had gone round the country! I have not yet been paid by Bertrams, though they did ask for an invoice to be enclosed with the book. I could, I suppose, have charged them what I wanted for the book, as I don’t have a trading agreement with them. But they would have added a bit before supplying Waterstones, who would then have found the book was costing more than they were making. So although they would have supplied me (as the customer) they would also I assume have deleted me (as the publisher) from their website. I rather like being on there, so sold to Bertrams at a sensible price. It was an expensive experiment. I notice I am also on the Foyles website. My advice, is set up clear details when you register with Nielsons (who are the people you buy the ISBN numbers from.) Then, every major bookseller will be able to supply your book if people order through them. And it’s rather nice to know your book can be bought through Waterstones and Foyles. Really though, the best way to actually recoup your costs, is by private sales. Big shops use wholesalers, and everyone wants a cut of the profits, so you receive very little money. I have spent November and December selling books at Christmas Fairs. I even started to enjoy it after a while. I sold loads of books, people bought them because I was local author, or because they wanted to give it as a gift. I would definitely recommend it as a route to sales. I am hoping to find some summer fairs too. If you’re keeping count, I have now recovered half my costs (which is about what I was hoping for in my time plan.) Now I need people who have enjoyed it to tell their friends….. The local papers have been brilliant. They have given me lots of support and included photos of me/the book a few times now. 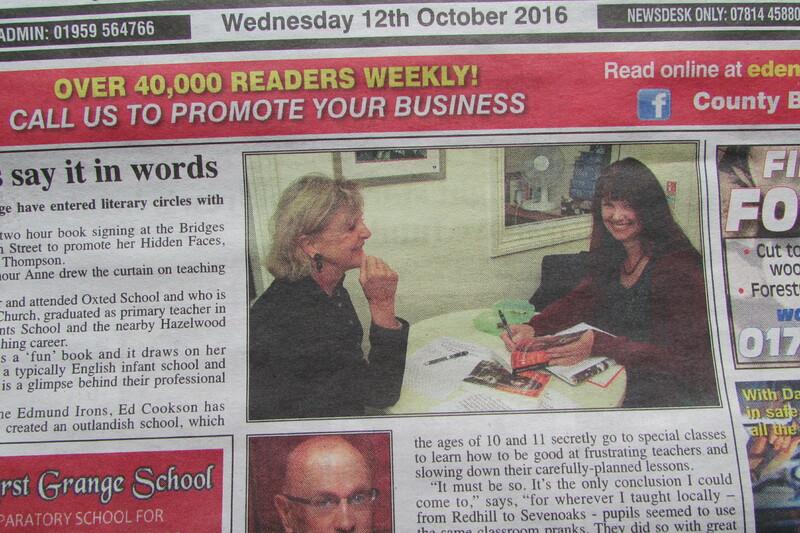 I was in a third newspaper this week (well, the book was, not me – but actually I prefer that.) It makes you feel very grateful when people help. Setting up any business is scary, we all need people to help us. It’s nice when they do.